It didn’t take more than 2 seconds to spot this as a fake. Come on scammers, learn to write proper. Jesus takes Peter, James and John up a high mountain. 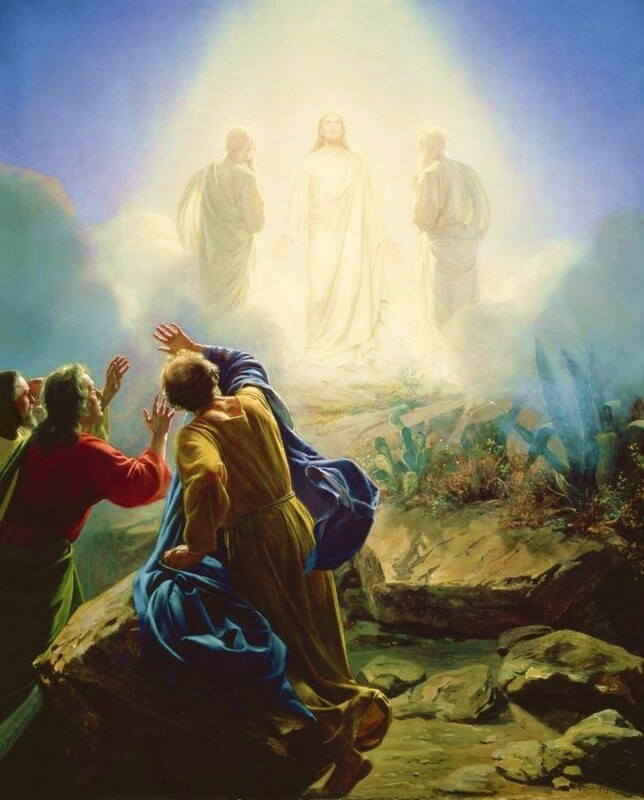 While they are there, Jesus is transfigured, his face shining brightly and his clothes dazzling. Suddenly Moses and Elijah appear and talk to Jesus. Peter offers to build three shelters for them. A cloud comes over and a voice speaks to them announcing that Jesus is God’s beloved Son. The disciples fall to the ground in fear. When they look up Jesus is alone. What we see with our physical eyes and interpret with our brains is only a faint shadow of reality. Often we need that blinding revelation to see things as they really are. Christians find it easy to fit into a comfortable groove. We operate with a devotional routine, say the easy prayers and fail to see what is really happening around us. We need to be sensitive to the Holy Spirit, learning to listen to Him and depend on His wisdom. We need to learn to see the Lord as He really is, not the safe image we prefer to worship. So Peter’s experience confirms the prophetic words of the Old Testament. No prophecy of Scripture can be a matter of our own interpretation because it comes to us through the Holy Spirit. The difference between the Bible and every other religious book is that it is not human theory, but an historical record of God’s dealings with people. Even the claims of Jesus to be the Messiah go back to historical prophecies confirmed by contemporary eyewitnesses. The great claims of the faith rely on a chain of eyewitness accounts coming down over 2000 years. My testimony is a vital part of that chain, just as the apostle Peter’s was. The story of God is shown today in lives being changed one day at a time by the gentle unstoppable pressure of the Holy Spirit. Thank you Jesus for saving me and revealing your glory to me. Now reveal your glory through me that others can see your saving power. Amen. Moses and Aaron and the elders of Israel approach the mountain, and they see God. The Lord tells Moses to come to the top of the mountain, so he takes Joshua and they ascend. As Moses goes toward the summit, the glory of God covers it. The Lord calls to Moses from the glory cloud which appears to be like devouring fire. Words cannot describe the glory of God- it’s a cloud, smoke, devouring fire. The presence of the Lord defies our minds to describe. To the believer it is a cause for wonder. To the unbeliever it is a cause for fear. The presence of God was what drove Moses on. His heart’s desire was to know the Lord ever more intimately. That same desire should drive us also. 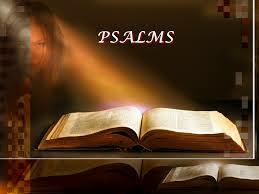 Prayer, Bible study, and other disciplines are dry and deadly unless we are pursiong the presence of the Lord. But when we truly meet with the Lord- what glory we find and what joy. Lord make me like Moses who desired above all the be in your presence. Give me that same passion. Amen. Flat earthers or real scientists? Almost everything the media tells you about sceptics is wrong: they’re engineers and hard scientists. They like physics too. In the mainstream media, skeptics are called Flat-Earthers, Deniers, and ideologues who deny basic physics. So it’s no surprise that they are exactly the opposite. A recent survey of 5,286 readers of leading skeptical blogs shows that the people driving the skeptical debate are predominantly engineers and hard scientists with backgrounds like maths, physics and chemistry. Which group in the population are least likely to deny basic physics? Skeptics. around 80% had degrees of which about 40% were “post graduate” qualified. Respondents were asked which areas they had formal “post-school qualification”. A third said “physics/chemistry. One third said maths. Just under 40% said engineering. 40% said they had post school training in computer programming. Furthermore, the media “debate” is nothing like the real debate. Four out of five skeptics agree our emissions cause CO2 levels to rise, that Co2 causes warming, and that global temperatures have increased. In other words, the mainstream media journalists have somehow entirely missed both the nature of the skeptics and the nature of the debate. The so called “experts” (say like Stephan Lewandowsky, and John Cook) either don’t understand what drives skeptics, or they know but do their best “not to accidentally discover it” with irrelevant surveys, loaded questions, poor sampling and bad methodology. (I’m going with incompetence). Lewandowsky, after all, tried to figure out the motivation of skeptics by asking people who hate them if they believe Diana was murdered. Not surprisingly he didn’t find out that about half of skeptics are Engineers, but he did find 10 anonymous people on the Internet who said the moon landing was faked. This is the kind of result only government funded science could achieve. Mike Haseler has done a great job here on a much needed task. I’m looking forward to seeing more of the results in future. Full credit to all the other skeptics who didn’t need the hard science training to see the flaws. They sagely picked the correct side of the scientific debate. Congrats to those lawyers, farmers, doctors, taxi-drivers, and pool shop owners (I spoke to one yesterday) plus kids, and countless other sane brains who are not easily fooled. Science, of course, is a philosophy, not a certificate.